Johannesburg is known for museums, wildlife, theme parks, shopping, and zoos & aquariums. Your plan includes some of its best attractions: see the interesting displays at Apartheid Museum, look for gifts at Jack Friedman Eastgate, take a stroll through Maboneng Precinct, and try to win big at Montecasino. To find more things to do, where to stay, ratings, and tourist information, refer to the Johannesburg online travel planner . Amsterdam, The Netherlands to Johannesburg is an approximately 14.5-hour flight. You can also do a combination of train and flight. The time zone changes from Central European Time to South Africa Standard Time, which is usually a 1 hour difference. In March, Johannesburg is warmer than Amsterdam - with highs of 30°C and lows of 17°C. Cap off your sightseeing on the 4th (Mon) early enough to travel to Kruger National Park. 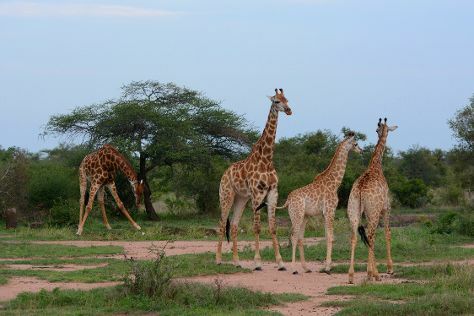 Spend the 5th (Tue) surrounded by wildlife at Game drives at Phalaborwa Gate in Kruger National Park. Next up on the itinerary: hike along Bushmans Trail, tour the pleasant surroundings at Idube Game Reserve, take some stellar pictures from Nkumbe View Site, and head outdoors with Wild Frontier Adventures. To find reviews and tourist information, read our Kruger National Park trip itinerary website . You can do a combination of flight and taxi from Johannesburg to Kruger National Park in 5 hours. Alternatively, you can drive; or do a combination of bus and taxi. In March in Kruger National Park, expect temperatures between 33°C during the day and 20°C at night. Wrap up your sightseeing on the 9th (Sat) to allow time to travel to Hoedspruit. Explore Hoedspruit's surroundings by going to Phalaborwa (Amarula Lapa & Qualito Craft Distillery). There's much more to do: stroll through Moholoholo Wildlife Rehab Centre, head outdoors with Siyafunda Conservation, look for all kinds of wild species at Wildlife Areas, and relax and rejuvenate at some of the best spas. For more things to do, maps, and more tourist information, use the Hoedspruit trip planner. You can do a combination of taxi and bus from Kruger National Park to Hoedspruit in 2.5 hours. Alternatively, you can drive. Expect a daytime high around 33°C in March, and nighttime lows around 20°C. Wrap up your sightseeing on the 13th (Wed) early enough to take a bus to Hazyview. You'll find plenty of places to visit near Hazyview: Nelspruit (Kruger National Park, Lowveld National Botanical Garden, & more). The adventure continues: stroll through Elephant Whispers, look for gifts at Katundo Leather Shop, and take an exotic tour of a safari tour. For maps, reviews, and more tourist information, you can read our Hazyview day trip app . Traveling by bus from Hoedspruit to Hazyview takes 1.5 hours. Alternatively, you can drive. In March in Hazyview, expect temperatures between 31°C during the day and 19°C at night. Cap off your sightseeing on the 16th (Sat) early enough to travel to Oudtshoorn. Start off your visit on the 17th (Sun): admire all the interesting features of Wilgewandel Holiday Farm, Head underground at The Cango Caves, and then cruise along Swartberg Pass. 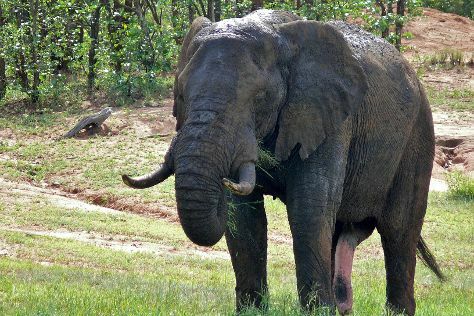 Get ready for a full day of sightseeing on the next day: tour the pleasant surroundings at Cango Wildlife Ranch, then take an in-depth tour of C.P Nel Museum, and then admire all the interesting features of Safari Ostrich Show Farm. To see photos, other places to visit, and other tourist information, refer to the Oudtshoorn online visit planner . Do a combination of taxi, flight, and bus from Hazyview to Oudtshoorn in 7.5 hours. Alternatively, you can do a combination of bus, taxi, and flight; or drive. Traveling from Hazyview in March, expect nights in Oudtshoorn to be about the same, around 18°C, while days are much colder, around 18°C. Finish up your sightseeing early on the 18th (Mon) so you can go by car to Plettenberg Bay. Venture out of the city with trips to Knysna Heads (in Knysna), Storms River Suspension Bridge (in Tsitsikamma National Park) and The Dolphin Trail (in Storms River). There's more to do: stroll through Robberg Nature Reserve. To see ratings, other places to visit, and tourist information, read our Plettenberg Bay route builder . You can drive from Oudtshoorn to Plettenberg Bay in 2.5 hours. Another option is to take a bus. When traveling from Oudtshoorn in March, plan for somewhat warmer days in Plettenberg Bay, with highs around 27°C, while nights are about the same with lows around 19°C. Wrap up your sightseeing on the 21st (Thu) early enough to travel to Cape Town. Cape Town is known for nature, parks, beaches, shopping, and museums. Your plan includes some of its best attractions: get great views at Cape of Good Hope, take in the waterfront activity at Victoria & Alfred Waterfront, step off the mainland to explore Robben Island Museum, and stroll through Platteklip Gorge. To see maps, reviews, where to stay, and more tourist information, read our Cape Town day trip planner . Traveling by flight from Plettenberg Bay to Cape Town takes 3 hours. Alternatively, you can do a combination of bus and flight; or drive. Expect a daytime high around 30°C in March, and nighttime lows around 17°C. Finish your sightseeing early on the 28th (Thu) to allow enough time to travel back home.